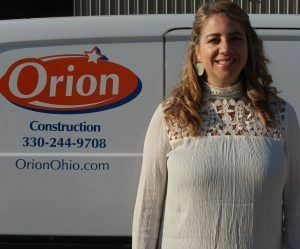 Yvette Crowe is our new Project Coordinator here at Orion. She came from Schumacher Homes where she was the Construction Support Coordinator for the last five years. She has over 20 years combined customer service, interior design, and construction background. Yvette is a 2002 graduate from the Art Institute of Pittsburgh with an Associates of Specialized Technology. Yvette likes to create unique, specialized designs for each homeowner by re-creating a new space that is customized just for them. There are thousands of options and endless selections to choose from and Yvette makes the selections process as seamless as possible and takes out the frustration some people might have during this time. In her spare time, Yvette enjoys spending every spare moment with her 16 month old daughter, Elloree, her husband (can’t forget Elloree’s “furry brother” Maxx – the dog) and her immediate family. They enjoy traveling to new places, trying new restaurants, and wineries, festivals and watching her daughter explore all the new adventures life has for her. She also has a passion for crafting (anything), sewing, and designing and new space as well as remodeling her own home.